The latest from the 'Wayward Pines' author poses a big question: Are you the best version of yourself? 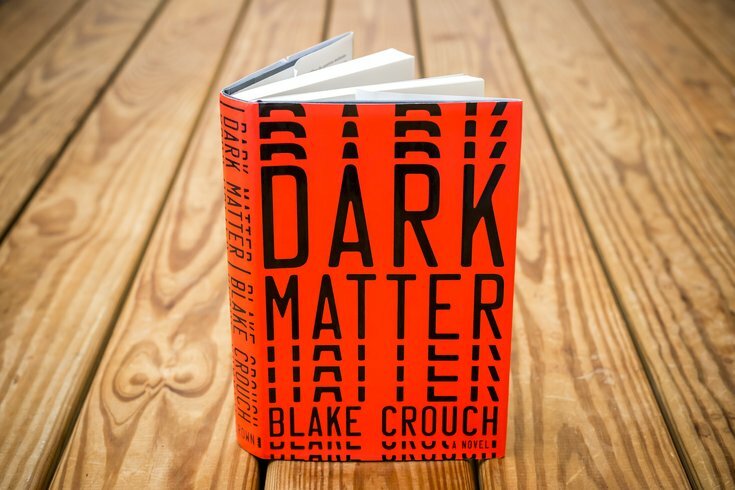 'Dark Matter,' a novel by Blake Crouch. "Dark Matter," the latest novel from Blake Crouch — the author of the "Wayward Pines" trilogy — poses a big question: Are you the best version of yourself? Jason Dessen leaves his wife Daniela and son Charlie one night, promising to return to their modest Chicago home with mint chocolate chip ice cream. He never makes it back. Instead, he's abducted, given new clothes and knocked unconscious before waking up surrounded by hazmat suits. Suddenly, he's no longer Jason Dessen, the college physics professor who gave up a bright career in science for a family. He's Jason Dessen, a brilliant physicist who's won a prestigious award for an impossible breakthrough in quantum superposition. The strangeness of the situation is unsettling, but what shakes him to the core is that he never married Daniela and Charlie doesn't exist. He can't accept the version of Jason he's been forced into in this alternate universe. From there, "Dark Matter" becomes a fast-paced sci-fi thriller as Jason tries to get back to his family. Jason made the choice to stay with Daniela when she became unexpectedly pregnant. The other Jason, whom he calls Jason2, made the choice to break up with her and focus on his career. Two different worlds branched off from that decision. In the book, the concept is explained by Schrödinger's cat, a famous thought experiment. A cat and a glass vial of poison are sealed in a box. If you open the box, you can see whether the cat's alive or dead. Until then, the cat is both (for reasons quantum physicists can explain). But what if there is one universe where a dead cat is discovered and one universe where the cat is alive? Now, what if there are an infinite number of universes because every choice creates a new world? Crouch doesn't let readers muse long on the idea. Instead, he explores the multiverse theory at lightning speed. Our heads are kept spinning as we hurtle toward the end, which makes for exciting reading. There's only room for one thought: Jason needs to be the hero who saves his family. Until the final pages, it's nail-biting suspense trying to figure out how the story will wrap up as the twists turn ludicrous. While the fast pace is one of the most enjoyable aspects of the book, it also lets Crouch avoid answering too many plot questions. What he does well, however, is leave readers thinking of "Dark Matter" long after they've finished reading. With a chance to finally ponder over the multiverse theory, readers may find themselves thinking of the consequences of their choices, imagining alternate universes or wondering if there's a better version of themselves somewhere. None of it sits too heavy, though. Crouch makes it clear that we make the most important choices in our lives for a reason. Surprisingly, at the core, "Dark Matter" is a love story.